Note: The following story was excerpted from the June 2016 issue of Collectible Automobile magazine. The first Chevrolet doesn’t seem like a Chevy. It wasn’t reasonably priced or modestly sized. It didn’t have an overhead-valve engine. It didn’t even wear a bowtie badge. The Chevrolet Type C, also known as the Classic Six, was the product of two conflicting personalities with some shared history. William Durant was a dealmaker. 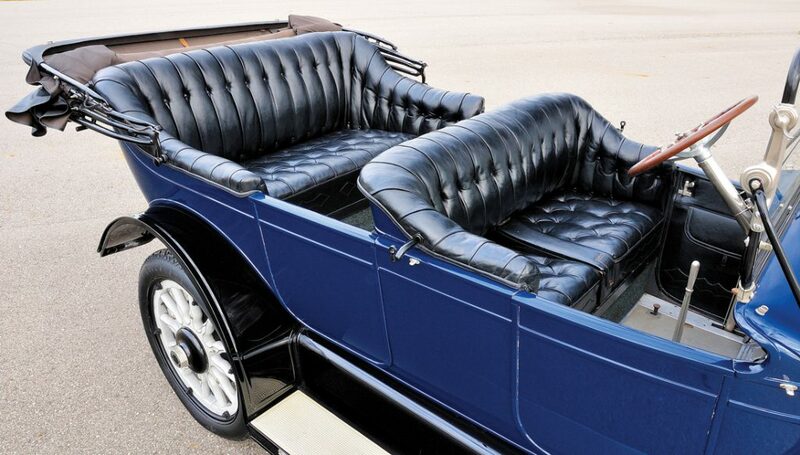 Fresh from his first ouster from General Motors in 1910, he was ready to establish a new automotive empire. Louis Chevrolet was what we’d now call a “car guy.” A winning driver for Buick’s racing team when Durant owned the company, he now wanted to design a car of his own. 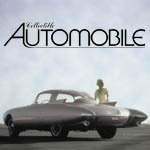 Durant wanted to build a light, inexpensive car; Chevrolet dreamed of a grand machine to proudly bear his name. 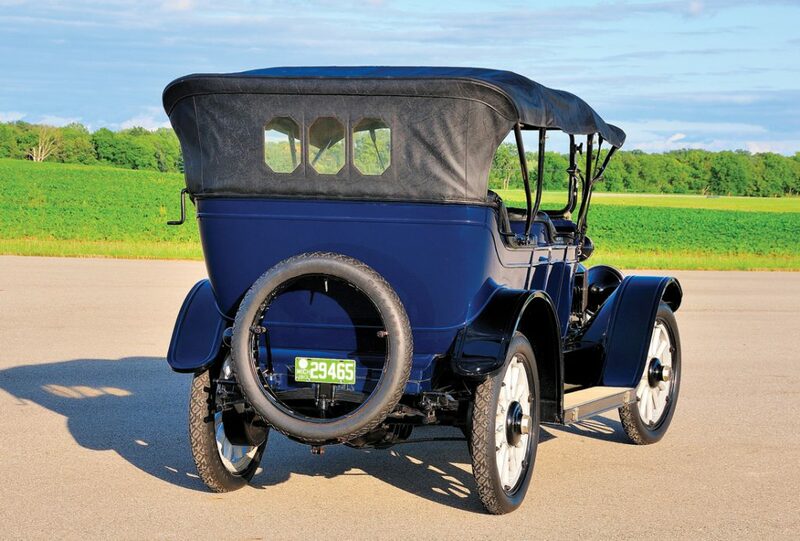 In 1911, with Durant’s backing, Chevrolet started working on a prototype in a Detroit factory. What developed was bigger and more expensive than Durant’s vision. 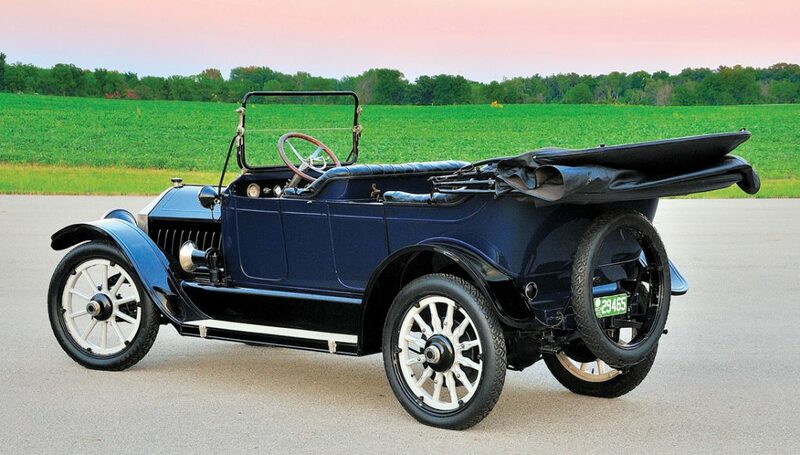 When the Classic Six touring car entered production in late 1912 as a 1913 model, it was powered by a big 299-cid six and rode on a long 120-inch wheelbase. The price was a hefty $2150, and it probably cost more than that to build. However, Louis Chevrolet was justly proud of his car. The engine was a T-head, which was a side-valve engine with intake and exhaust valves on opposite sides of the cylinder. 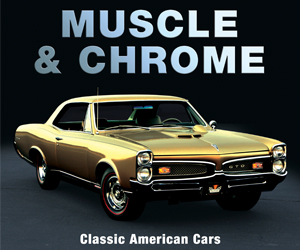 This arrangement was favored for performance cars of the time. The crankshaft was well balanced and had counterweights so that it ran smoothly. 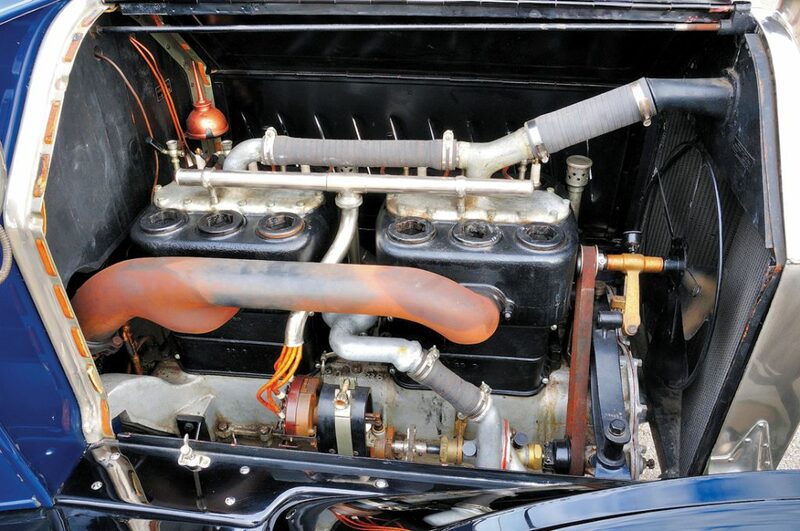 The engine developed 40 hp, enough to push the 3350-pound car up to 65 mph. The Classic Six was well equipped with electric lighting and a compressed-air starter that eliminated the need for manual cranking. The speedometer was lighted to ease night driving, and there was a fuel gauge on the dash. Most cars at the time either didn’t have a gas gauge or had one on the tank, not in easy view of the driver. The Classic Six was built to last and perhaps that contributed to its substantial weight. Satisfied with his namesake car, Louis Chevrolet left on a trip to his native Switzerland. While Chevrolet was meticulously developing his ideal car, Durant had been moving much faster to bring popularly priced cars to market. 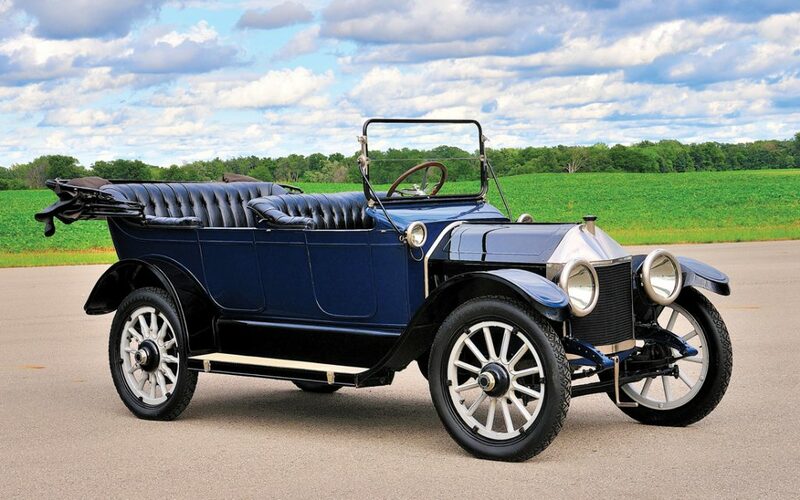 A Little Four (named for William Little, a former Buick general manager) was on sale in 1912, and a Little Six made its debut at the same time as the Classic Six. When Chevrolet returned from his trip, he discovered that production of the slow-selling Classic Six had been moved from Detroit to the Little plant in Flint, Michigan. What’s more, the Little Six became the Chevrolet Special Little Six, and four-cylinder Chevys were on the way. Chevrolet wasn’t happy and legend has it that he finally stormed out of the company when Durant told him to smoke cigars instead of less-dignified cigarettes. Classic Six production ended in 1914. Meanwhile, low-cost Chevrolets made Durant rich enough to buy his way back into the leadership of GM in 1915, and established the mass-market brand that we know today. This Classic Six is the oldest running Chevrolet. (The only other known Classic Six is an older but incomplete and unrestored car at the Reynolds-Alberta Museum in Canada.) It bears body number 323, and was built after Chevrolet’s move to Flint. Also, it has an electric starter motor, which was a running change from the compressed-air starter. The car can be seen in the Alfred P. Sloan Museum in Flint, where it has been since a donor group purchased it from a Fort Worth, Texas, Chevy dealer in 1965. According to Jeremy Dimick, curator of collections, restoration has been ongoing, with the last major work done in 2011. Written by: Jack Stewart on June 20, 2018.on October 23, 2018.